← Ash Wednesday – March 6 2019, 7 p.m.
under the theme ‘A Connected Commonwealth’. Commonwealth Day, held on the second Monday in March each year, is an opportunity for individuals, communities and organisations to promote the Commonwealth’s shared values of peace, democracy and equality, and to celebrate the association’s rich diversity. The afternoon service in London, UK, took place in the presence of Her Majesty The Queen, Head of the Commonwealth, and other members of the Royal Family, senior politicians, High Commissioners, Commonwealth dignitaries and over 1,000 young people, with approximately 2,000 people attending in Westminster Abbey. #CommonwealthDay Service this evening at St. John’s Cathedral, 7 p.m., with Bishop Geoff Woodcroft preaching, The Rev. Canon Helen Kennedy as officiant, and Dean Paul N. Johnson hosting. 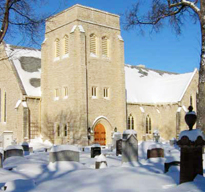 All are welcome; the Cathedral is at 135 Anderson Avenue in the north end of #Winnipeg. We are just east of north Main on the banks of the Red River, just north of St. John’s Park. Street parking. Special thanks to Murray and Betsy Burt, RCS. Come and join us to celebrate our #ConnectedCommonwealth.